Friends, we are giddy! It’s time for cookouts, drinks on the patio, boat rides, parades, parties, outdoor concerts, festivals, camping, bonfires, hiking and swimming and soaking up the sun. And it’s all better with a great beer, right? 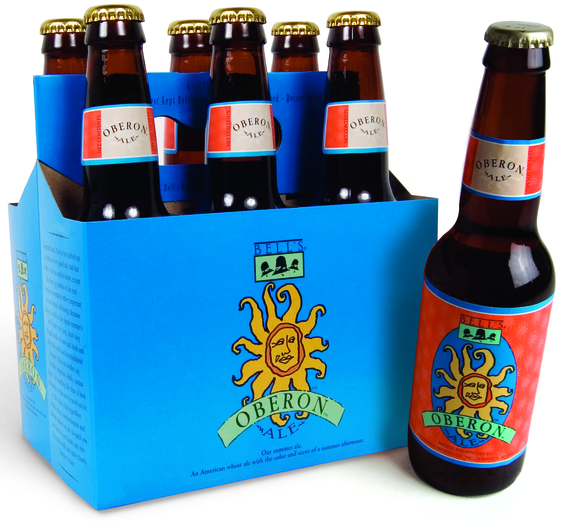 We’ve put together a list of our top 10 craft and seasonal favorites of summer. Get some and get on with the fun! This one is a classic. Wheat ale is fermented with Bell’s signature house ale yeast, mixing a spicy hop character with mildly fruity aromas. Wheat malt lends a smooth mouthfeel. It’s a rule of summer that you have to have at least one. A radler is the German name for a blend of beer and fruit soda or lemonade. This one from the mighty Rockies is a mix of natural citrus flavors, offering a refreshing chill on the hottest summer days–just like a trip to the mountaintop. An India Pale Ale that you can enjoy at any time of day, this Founders is brewed with an array of malts, grains and hops, with balanced aromatics and a clean finish. Just be sure to invite us when you’re planning all day IPAs. A shandy is beer mixed with a little something extra like soda, juice or ginger ale. Leinenkugel’s Summer Shandy is a traditional weiss beer with a natural lemonade kick so tasty it might put the neighbor kid’s stand out of business! This American wheat ale is crisp and tangy, with lemon peel and a hint of pepper from rare Grains of Paradise. Sam Adams Summer Ale balances bright citrus, noble hops and spice. It’s like a sultry, hazy day by the pool. Light and slightly dry, this wheat ale gets its hoppy brightness from the addition of fresh hop flowers after fermentation. What’s it like to drink a crisp summer breeze? This session ale might be the closest thing. Yes, it’s still a beer! Redd’s Green Apple Ale is brewed, but it has the crispness of an apple. We’re not sure whether one a day will keep the doctor away, but it’s a tasty summer drink! Hang with the most interesting man in the world during his summer escapades! Dos-A-Rita is a blend of Dos Equis Lager and margarita flavors sweetened with 100 percent pure agave nectar. It bears hints of tequila, triple sec and lime. We think it would be great with fish tacos…or, depending on how lazy we’re feeling, a bag of tortilla chips.